Sweden and Denmark have both decided to withhold funding for the UN Environment Programme (UNEP), after reports about its director Erik Solheim’s extensive and expensive travel. Solheim, a former Norwegian government minister and UN envoy, defends his constant globetrotting and promises to correct any mistakes made. Newspaper Aftenposten broke news last week of a highly critical UN audit of Solheim’s travel and deficient expense accounts. 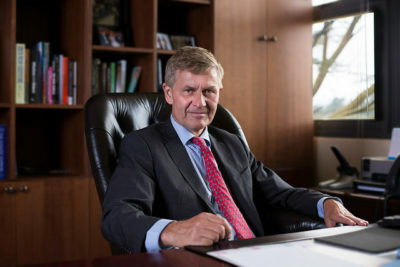 Solheim reportedly has been spending nearly 80 percent of his time out of the UNEP’s headquarters in Nairobi, opting instead to travel extensively at a cost of around USD 500,000 during his first 22 months in the job. His massive air travel has raised questions about the carbon emissions it generates, while he and others in his management group have also failed to document whether all the travel is either necessary or actually part of their work assignments. Aftenposten followed up over the weekend with a new report that the UN’s preliminary audit, while still in draft form pending Solheim’s response, is already having consequences. Swedish officials told Aftenposten that the UNEP, which is in charge of the UN’s efforts to protect the environment and reverse climate change, won’t be granted any new funding until all the questions and criticism about Solheim’s travel expenses are resolved. A spokeswoman for Sida, Sweden’s state agency handing international development work, said it was taking reports of the UN auditors’ criticism “very seriously” and was glad the auditors were examining UNEP’s travel accounts. He downplayed Sweden’s and Denmark’s decisions to withhold funding, saying it was “completely natural” for countries to wait until a final report has been presented from the UN auditors. Others don’t entirely agree. Ole Jacob Sending, research chief at the Norwegian foreign policy institute NUPI said it was “extremely unusual” for UN members to freeze funding because of administrative rot. “I’ve never heard of this happening before, at least not by Scandinavian countries,” Sending told Aftenposten. Sending said the reaction can be viewed as a signal of the need to think about how taxpayers’ money is spent. “There are many who don’t think UNEP is functioning as it shall, and that there are other means of promoting environmental issues that can be more effective,” he told Aftenposten.